In 1988, one gallon of gas cost 91 cents, the Bruce Willis classic Die Hard premiered, and the Gagliano family started a little tour company named American Tour and Recreational (psst: that was our original name). 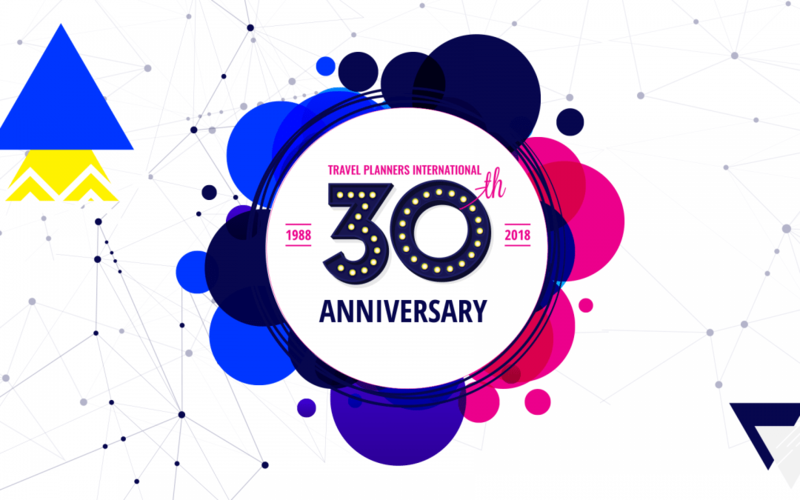 Fast-forward 30 years, now we’re a sales, marketing, and support agency that partners with 4,100+ travel agents across the United States! Turning the big 3-0 is a huge accomplishment for TPI as well as a big cause for celebration. And because you only turn thirty once (yotto? ), we have several things planned. Next week, we’ll be releasing super cool, limited edition TPI shirts – you can check them out here. We’re also releasing a sit-down interview with the Gagliano brothers – more on that coming soon. However, the big celebration won’t happen until late August at TPI Rocks aboard Royal Caribbean’s Harmony of the Seas. We have so many fun goodies and surprises in store for our birthday bash, but you’ll just have to wait and see. We love our Rockstar agents. They are a group of fearless, savvy, and hustling travel agency owners and they’re taking the industry by storm. We owe them a huge thank you for supporting and partnering with us over the years. “I’m grateful for everyone who has brought us to where we are today and of course, we couldn’t have gotten here without our dedicated agents,” said Gagliano Jr.
And the love goes both ways – click here to find out the top 10 reasons why our agents love us!